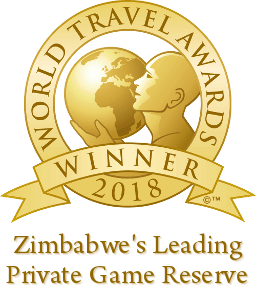 Antelope Park’s award-winning accommodation in Zimbabwe offers guests a variety of options to choose from. Whether you’re looking for a Romantic Getaway, a break with the Family or a comfortable stop-over on your Overlanding adventure, there is accommodation that caters to all needs, experiences and budgets. A beautiful brick-under-thatch 12-sleeper (dorm style) lodge situated on the water’s edge, offering stunning views of the sparkling lake and the bush beyond. The lodge has all the comforts of home for an ultimately relaxing stay. Perfect for a friends getaway! Three units set on a picturesque hillside, with spacious thatch-covered porches overlooking the lodge’s lawns and the lake beyond. It offers a self-catering option for up to 20 guests, with a large, well-equipped kitchen. The largest house at Antelope Park. Set 1.5 km outside of the camp in the game park itself, Serenity offers a self-catering option with a fully-equipped kitchen for groups of up to 12 people. Enjoy absolute privacy and incredible game-viewing opportunities. Mupane is a luxurious family lodge with 2 bedrooms and 2 bathrooms and can cater for up to 6 people. It’s situated right by the river and offers a wonderful view from the deck. It’s spacious and ideal for a family getaway. Fully-equipped with modern amenities (TV and WIFI) offering up-to five guests the option of a self-catering stay. Relax and enjoy the scenery from the deck. One master bedroom en suite and a separate bedroom with 3 beds en suite. Spacious safari tents on the waters edge offering total privacy and sublime comfort. Each unit sleeps two people. This includes your own private deck looking onto the river plus a rustic bathroom. Ideal for couples or small families. Charming en-suite accommodation for up to four on the water’s edge, with a spacious wooden deck. Our Island Lodges offer an intimate retreat for romantic getaways, honeymooners luxury, tranquillity and breath-taking views. Our standard rooms are simple and comfortable; ideal for guests on a budget who are looking for the essentials. Each sleeps two in twin beds with an outside shared ablutions area. Lovely views of the campsite and pool. Sit back, relax and enjoy the views of the waterways and the birds and wildlife that visit the picturesque campsites. Barbeque, dining lapa, ablutions and multiple plug points on offer. The campsites are self-catered however you book meals at the main dining area. *Please note if you miss these times you can use the Coffee shop. WIFI Complimentary Wifi vouchers for guests staying overnight. Various vouchers available at Reception for purchase. VIDEOGRAPHER/PHOTOGRAPHER – See Reception to book.